Waylon Jennings is one of a handful of undeniably towering figures in country music history. A true stylist, he brought the charisma of rock and the purity of blues to bear on his distinctive take on country music. In the process, he earned a place on the Mt. Rushmore of modern country legends and left the generations that followed a standard worth striving for. An album in tribute to such an artist is a high-wire act, an attempt to re-capture lightning in a bottle. Rarely do such projects do justice to the artists they seek to honor. Judging from the reaction of those at the heart of The Music Inside, Volume I, the first of a three-CD set, this all-star tribute to Waylon is one of the few. Produced by Witt Stewart and featuring Kris Kristofferson, Jamey Johnson, Trace Adkins and the reunited Alabama, among many others, The Music Inside had the full and enthusiastic involvement of Waylon s widow Jessi Colter and his son Shooter Jennings. Jessi and Shooter were involved every step of the way, approving the project s tracks and contributing a song each on Volume 1, with another from Shooter and two more from Jessi slated for the upcoming volumes. The Music Inside also features Randy Houser, John Hiatt, Patty Griffin, James Otto, Sunny Sweeney and newcomer Chanel Campbell. The breadth and depth of the talent assembled for the project insured the kind of scope and nuance that marked Waylon s work. The public s first listen to the project is its first single, Alabama s take on the classic, Are You Sure Hank Done It This Way, a cut that reminds us how much early Alabama drew on the Waylon sound. It also displays the power of Waylon s legacy in its ability to draw the band out of retirement. We recorded this album live in the studio, says Stewart. We did very little overdubbing. Almost all the vocals were literally what we recorded when we were cutting the tracks. We d bring in some harmonies, overdub a dobro or lap steel, but even most of that was live. It was always more about feeling and passion than about laying down a rhythm track and overdubbing instruments. When you get great musicians and a great song together and let an artist interpret it, then you re just trying to catch a moment. We were fortunate enough to catch a lot of them. The unity of Waylon s music and vision changed all of modern music for the better and his legacy resonates as strongly as ever among those who make music. From the beginning, Stewart was aiming to reacquaint the listening public with the impact his genius still has among musicians. My goal, he says, was to make a record that would shine a light on Waylon to younger people. I wanted to find people who love and respect his music and we found a lot of them. But above all, I wanted to make something he would like and be proud of and according to the people who knew and loved him best, we accomplished that. free download VA - The Music Inside: A Collaboration Tribute to Waylon Jennings, Vol. 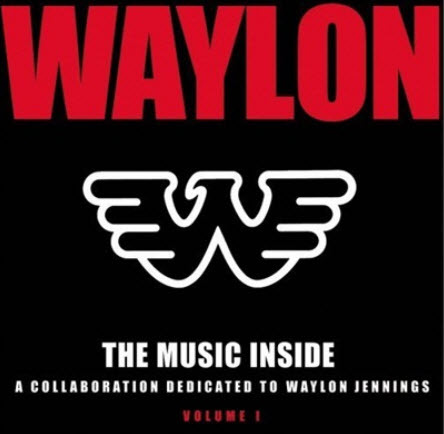 I (2011).VA - The Music Inside: A Collaboration Tribute to Waylon Jennings, Vol. I (2011) full from nitroflare rapidgator uploaded turbobit extabit ryushare openload littlebyte zippyshare.